Disney's Zootopia continued to lead the box office with ease on Tuesday with a daily gross of $6.05 million. The critically acclaimed 3D computer animated film from Walt Disney Animation Studios was up 32 percent from Monday and up a very strong 13 percent over last Tuesday. In addition to being helped by strong word of mouth and more schools being off for spring break this week, Zootopia likely also received an added boost from yesterday's primary elections. Zootopia passed the $150 million mark yesterday and has grossed a very impressive $154.61 million in twelve days. That places the film 36 percent ahead of the $113.31 million twelve-day take of 2014's Big Hero 6. Paramount's 10 Cloverfield Lane held steady in second place with $2.58 million. The J.J. Abrams produced thriller starring Mary Elizabeth Winstead and John Goodman was up a healthy 23 percent over Monday's performance. 10 Cloverfield Lane has grossed $29.36 million in five days. The film is performing in line with expectations and is performing well with its modest price tag in mind. 10 Cloverfield Lane is currently running just ahead of the $28.89 million five-day start of last year's The Visit (which increased 15 percent on its first Tuesday to gross $1.86 million). Deadpool grossed $1.41 million to remain in third. The Ryan Reynolds led blockbuster antihero film from Fox was up 16 percent over Monday and down a very slim 16 percent from last Tuesday. Deadpool continues to pad its total as the highest grossing release of 2016 thus far with a massive 33-day gross of $330.80 million. Deadpool is likely to continue to hold up well until Warner's Batman v Superman: Dawn of Justice enters the marketplace on March 25. London Has Fallen followed closely behind in fourth place with $1.35 million. The action thriller sequel from Focus and Gramercy increased 33 percent over Monday and was down a solid 37 percent from last Tuesday. The twelve-day total for London Has Fallen stands at $41.37 million. That is in line with expectations and is 29 percent below the $58.22 million twelve-day gross of 2013's Olympus Has Fallen. Paramount's Whiskey Tango Foxtrot rounded out the day's unchanged top five with $0.608 million. The R-rated comedy starring Tina Fey was up a strong 45 percent over Monday and down just 25 percent from last Tuesday. Whiskey Tango Foxtrot has grossed $15.67 million in twelve days. That is below expectations and is 34 percent behind the $23.82 million twelve-day gross of 2014's This is Where I Leave You. Disney has scheduled an untitled fifth Indiana Jones film for release on July 19, 2019. The film will be directed by Steven Spielberg and will star Harrison Ford. The film currently has the release date to itself and is scheduled to open one week after Disney's Inhumans. 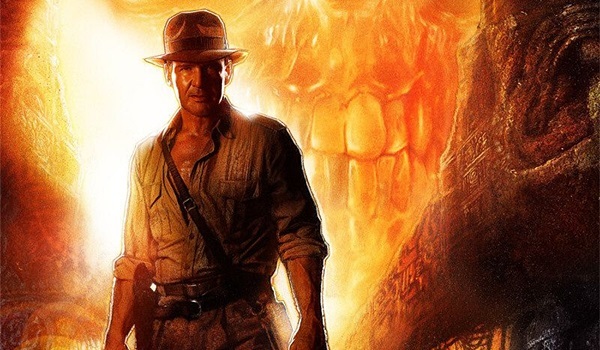 The last film in the franchise, 2008's Indiana Jones and the Kingdom of the Crystal Skull, had a three-day opening weekend of $100.1 million and went on to gross $317.1 million domestically. Indiana Jones will return to the big screen on July 19, 2019, for a fifth epic adventure in the blockbuster series. Steven Spielberg, who directed all four previous films, will helm the as-yet-untitled project with star Harrison Ford reprising his iconic role. Franchise veterans Kathleen Kennedy and Frank Marshall will produce. "Indiana Jones is one of the greatest heroes in cinematic history, and we can't wait to bring him back to the screen in 2019," said Alan Horn, Chairman, The Walt Disney Studios. "It's rare to have such a perfect combination of director, producers, actor and role, and we couldn't be more excited to embark on this adventure with Harrison and Steven." Famed archaeologist and explorer Indiana Jones was introduced in 1981's Raiders of the Lost Ark - one of AFI's 100 Greatest American Films of All Time - and later thrilled audiences in 1984's Indiana Jones and the Temple of Doom, 1989's Indiana Jones and the Last Crusade, and 2008's Indiana Jones and the Kingdom of the Crystal Skull. 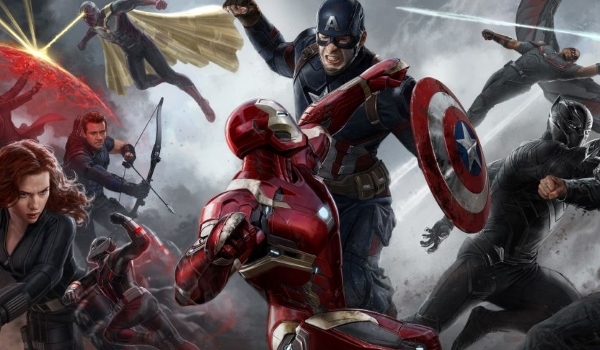 The four films have brought in nearly $2 billion at the global box office. Disney's Zootopia continued to lead the box office with ease on Monday with a daily gross of $4.60 million. The critically acclaimed 3D computer animated film from Walt Disney Animation Studios was down 72 percent from Sunday and up 1 percent over last Monday. Yesterday's hold is a sure sign of more schools being off for spring break this week than last week and also a sign of the film's continued strong word of mouth. Zootopia has grossed a terrific $148.56 million in eleven days and is set to surpass the $150 million mark today. The film is currently running an impressive 33 percent ahead of the $111.62 million eleven-day take of 2014's Big Hero 6. Paramount's 10 Cloverfield Lane claimed second place with $2.09 million. That represented a 66 percent daily decline from Sunday's performance. The J.J. Abrams produced thriller starring Mary Elizabeth Winstead and John Goodman has grossed $26.79 million in four days. 10 Cloverfield Lane is performing in line with expectations and is performing well with its modest price tag in mind. The film is currently running just behind the $27.04 million four-day start of last year's The Visit (which fell 71 percent on its first Monday to gross $1.61 million). Deadpool placed in third with $1.18 million. The Ryan Reynolds led blockbuster antihero film from Fox continued to stabilize nicely yesterday, as it was down 62 percent from Sunday and down a very slim 17.5 percent from last Monday. Deadpool continues to pad its total as the highest grossing release of 2016 thus far with a massive 32-day gross of $329.40 million. Deadpool is likely to continue to hold up well until Warner's Batman v Superman: Dawn of Justice enters the marketplace on March 25. London Has Fallen followed in fourth place with $1.01 million. The action thriller sequel from Focus and Gramercy fell 67 percent from Sunday and a solid 39 percent from last Monday. London Has Fallen passed the $40 million domestic mark yesterday and has grossed $40.03 million in eleven days. That is in line with expectations and is 29 percent below the $56.57 million eleven-day gross of 2013's Olympus Has Fallen. Disney's Zootopia continued to lead the box office with ease this weekend with a second weekend take of $51.34 million. The critically acclaimed 3D computer animated film from Walt Disney Animation Studios was down just 32 percent from last weekend's debut; a sure sign of just how strong word of mouth is for the film. 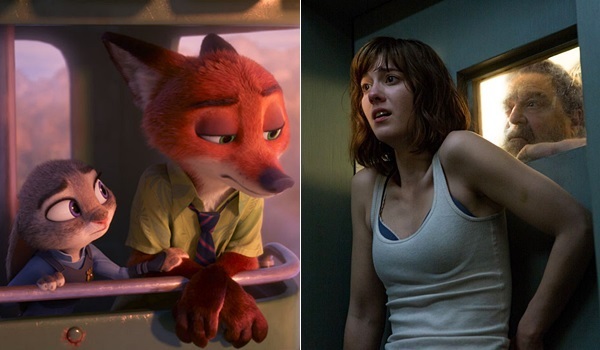 Zootopia registered the fifth largest second weekend performance ever for an animated film (behind only 2004's Shrek 2, 2010's Toy Story 3, 2007's Shrek the Third and last year's Inside Out). The film has grossed a very impressive $143.96 million through ten days of release. That places the film 30.5 percent ahead of the $110.31 million ten-day start of 2014's Big Hero 6 (which fell 38 percent in its second weekend to gross $34.66 million). Given its strong word of mouth, the approaching Easter holiday and the relative lack of competition for family audiences it will face throughout the rest of March and early April, Zootopia should continue to hold up very well going forward. Paramount's 10 Cloverfield Lane opened in second place with $24.70 million. The J.J. Abrams produced thriller starring Mary Elizabeth Winstead and John Goodman opened in line with its wide ranging expectations and performed well with its modest price tag in mind. 10 Cloverfield Lane, which has been referred to as a relative to 2008's Cloverfield, opened 38 percent below the $40.06 million three-day start of Cloverfield, but wasn't expected to deliver that type of debut this weekend. 10 Cloverfield Lane performed more similar to last year's The Visit, which opened with $25.43 million. 10 Cloverfield Lane opened with $8.96 million on Friday (which included a sizable $1.8 million from Thursday evening shows), increased 8 percent on Saturday to gross $9.68 million and declined 37 percent on Sunday to take in $6.06 million. That placed the film's opening weekend to Friday ratio at 2.76 to 1. The audience breakdown for 10 Cloverfield Lane skewed towards male moviegoers (60 percent) and heavily towards moviegoers over the age of 25 (68 percent). 10 Cloverfield Lane has received strong critical reviews and currently boasts an encouraging 85 percent audience score on Flixster. The film didn't go over as strongly on CinemaScore, where it received a B- rating. Deadpool claimed third place with $10.94 million. The Ryan Reynolds led blockbuster antihero film from Fox stabilized nicely this weekend, as it was down 35 percent. Deadpool continues to pad its total as the highest grossing release of 2016 thus far with a massive 31-day gross of $328.22 million. The film is running an exceptional 51 percent ahead of the $216.74 million 31-day take of 2014's X-Men: Days of Future Past. Deadpool is likely to hold up well again next weekend, before Warner's Batman v Superman: Dawn of Justice enters the marketplace the following week on March 25. London Has Fallen followed very closely behind in fourth place with $10.84 million. The action thriller sequel from Focus and Gramercy was down a sizable, but understandable 50 percent from last weekend's debut. In comparison, 2013's Olympus Has Fallen fell 53 percent in its second weekend to gross $14.15 million. London Has Fallen has grossed $39.02 million in ten days. That is in line with expectations but is 29 percent softer than the $54.89 million ten-day take of Olympus Has Fallen. Paramount's Whiskey Tango Foxtrot rounded out the weekend's top five with $4.67 million. The R-rated comedy starring Tina Fey held up nicely this weekend, as it was down 37 percent from last weekend. Whiskey Tango Foxtrot has grossed $14.64 million in ten days. Despite this weekend's hold, the film is still performing below expectations and is running 35 percent behind the $22.44 million ten-day take of 2014's This is Where I Leave You (which fell 40 percent in its second weekend to gross $6.89 million). The Perfect Match debuted in sixth place with $4.29 million. That gave the romantic comedy from Lionsgate and Codeblack Films a very solid per-location average of $4,642 from a relatively modest 925 locations. The Perfect Match started out with $1.55 million on Friday, increased 11 percent on Saturday to gross $1.73 million and fell 41 percent on Sunday to gross $1.01 million. That gave the film an opening weekend to Friday ratio of 2.76 to 1. The Perfect Match currently has a 63 percent audience score on Flixster. Meanwhile, Focus' The Young Messiah and Sony's The Brothers Grimsby were both off to very poor starts this weekend. The Young Messiah opened in seventh place with $3.29 million, while the Sacha Baron Cohen led The Brothers Grimsby followed in eighth place with $3.26 million. Both films opened below their already modest respective expectations. The Young Messiah appears to be going over better with moviegoers, as the film received an A- rating on CinemaScore and has a current Flixster audience score of 71 percent, whereas The Brothers Grimsby received a B- rating on CinemaScore and has a current Flixster audience score of just 56 percent. The Divergent Series: Allegiant also had a very strong posting of 141,047 new likes. It is entering into its release week coming off of two of its best weeks on Facebook and while it is lagging greatly behind the last film in the franchise it still is likely going to give Zootopia a run for its money for the top spot at the box office this upcoming weekend. It already opened this past weekend in 45 markets and grossed just over $26 million which gives it a nice boost on social media leading into this week which won't hurt its awareness. My Big Fat Greek Wedding 2 just won't stop impressing as it crossed the 800,000 like mark over the last week. Very few comedic films have grabbed this many likes and while its true its reusing the original Facebook page, its gained over 500,000 likes since the holidays. Awareness and demand for the film is massive. The highest grossing romantic comedy of the last four years was Trainwreck which had just over 300,000 likes the same distance before release. Word of mouth was the key to riches first time out and in all likelihood lightning won't strike twice in that department but the fan base it has should see a much larger opening weekend even if it quickly falls off.